The developers of The Chezz might not know how to spell the word ‘Chess’ properly, but they know how to come up with a development which is a very attractive proposition for both investors and lifestyle buyers alike. The Chezz is located literally adjacent to Apus Condominium (the developers of Apus are actually one of the partners in this project) which makes it very easy to make comparisons between the two projects. While Apus may have a larger pool as theirs is at ground level whereas The Chezz has a small infinity pool on the roof and the sizes of the apartments at Apus are larger – a lot larger – than at The Chezz, the enormous difference in prices between the two adjacent projects shows what great value for money The Chezz offers. At the time of writing, the only one-bedroom apartments available under foreign ownership at Apus are priced at THB 5.1 million. 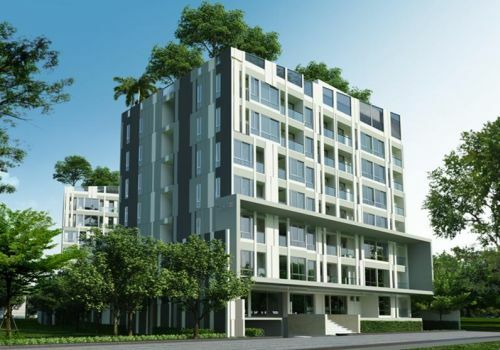 At The Chezz, prices for their small one-bedroom apartments start at just THB 2.34 million. ‘But that’s not a fair comparison – because Apus is ready now while The Chezz is completely offplan,’ I hear you say. Fair comment. So maybe a better comparison is with City Center Residence which is also currently completely offplan and in a roughly similar location in terms of how far back from the sea as The Chezz. With one-bedroom apartments at City Center Residence starting at THB 3 million for a similarly-sized apartment – slightly smaller, actually – and with both projects being supplied fully furnished, the fact that starting prices at The Chezz are some 20% cheaper shows how good a deal this development is. With two-bedroom apartments, the difference is even more pronounced due to the fact that The Chezz has some dedicated two-bedroom units of 60m2 which start at THB 4.3 million. At City Center Residence, buyers looking for a two-bedroom unit would need to put two one-bedroom units together, which would come out to be a large 70m2 unit priced at just under THB 6 million. 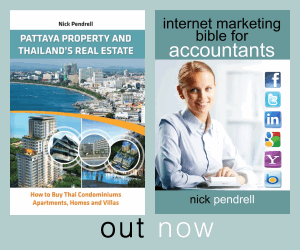 Central Pattaya is always a good choice for anyone looking at a ‘fly-to-let’ investment strategy as there is never going to be a shortage of people wanting to stay right in the city centre. The cheapest one-bedroom units at Apus rent for a minimum of THB 30,000 per month – and there’s a waiting list for them even at those prices. Do the maths and, if you bought a small one-bedroom apartment at The Chezz for THB 2.4 million and you will come up with an almost insanely good annual yield of 15%. For that sort of Return on Investment, you should be able to live with the development having such a stupid name! It would appear that I am not the only person to have realized what great value for money this development is as, despite very little in the way of advertising and promotion (and having the most annoying website I’ve ever come across) sales at The Chezz have been brisk. More than 100 units at The Chezz were sold within a few weeks of its official launch at the end of August. As it is a fairly small development, this means that there are currently only around 50 units remaining. As a result you’d better make your move today or else you’re going to find yourself in a checkmate situation.